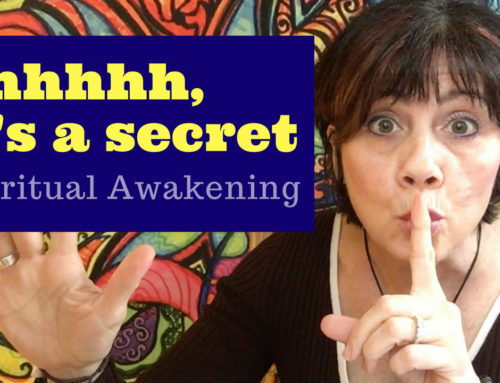 The Secret to opening your 3rd eye is….. (drumroll) IT’S ALREADY OPEN! This video was quite fun for me to create. I firmly believe that the secret to opening your 3rd eye is not at all a secret. I believe we are born with our 3rd eye fully functional and this can be proven by watching the young ones in their early years. So, there really is no secret. You are intuitive and creative, even if you don’t think so. You are! I will explain why I feel so strongly about this. PLUS, I will also do some energy clearing around beliefs that prevent you from knowing this truth for yourself. I speak to how I thought that my 3rd eye wasn’t open. Because there are sooooooo many videos and articles about opening your 3rd eye, I assumed mine wasn’t open. But as I started to learn more it became so clear to me that my 3rd eye has always been open. I just didn’t know that this part of me was a function of the 3rd eye. I’m sure this is probably true for you too. I do hope that you enjoy the video and that you take away with you the knowing that you are connected to Spirit and can receive inspiration and information easily as long as you intend to and really own this innate power that you hold. I just had to create another video about opening your 3rd eye. I believe you will enjoy this one as well. It’s a fun topic to talk about. In this video I speak about a simple technique to enhancing your 3rd eye and psychic abilities. Again speaking about how you are born with an open 3rd eye and adding some things you can do to strengthen your psychic connection.